At its weekly Wednesday meeting, the ASUC Senate discussed the Menstrual Product Initiative and two other resolutions, as well as appointing new officials. 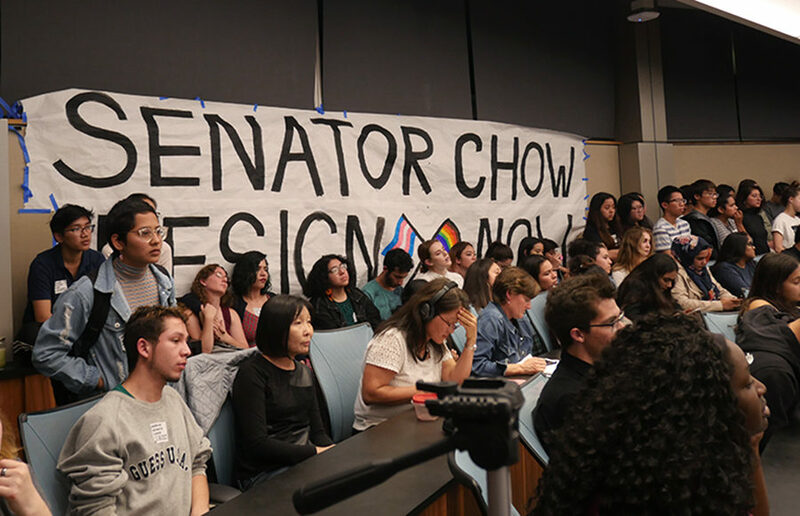 At a student forum Tuesday, UC Berkeley students expressed their concerns over how the next chancellor would handle the budget, campus climate and accountability. In a reversal from last year’s results, Student Action swept all four partisan executive positions in the 2016 ASUC elections, announced at Friday’s tabulation ceremony. The high-stakes election season — where the difference between winning and losing an election can come down to a handful of voters — sees a host of different campaigning tactics, from rigorous “Sprouling” schedules to sending hundreds of rounds of Facebook messages to secure as many votes as possible.